Today, my day started rather early (heading to Bendigo for the day) with a train that was supposed to leave at 5.49 am from the western suburbs of Melbourne to Southern Cross Station, (got cancelled) so waited another 20 minutes the next train. I have been reading the “Key Person of Influence’ which a friend had given me to read so I managed to finish this off, but was taking notes as usual in Evernote playing around with some concepts that the book had suggested. It has suggestions in the book about writing your own book (gave me the motivation to start planning more chapters and bonus material using Inspiration for iPad (and have then sent the mindmap/notes off to my mentors for further feedback via email). 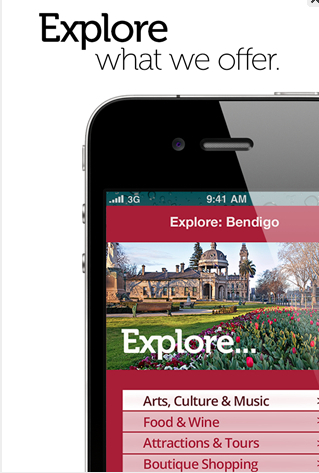 The train up to Bendigo takes two hours and I hadn’t prepared my presentation on “Mobile Devices for your Business” with Tim Gentle. This was with a group of business owners and those in a program being run by Bendigo Tourism (click here for their app). 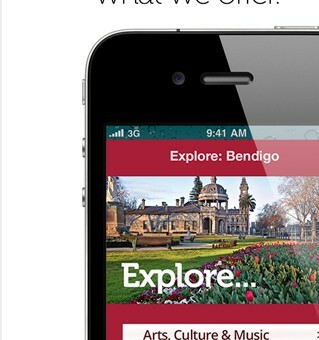 Again, having a mobile device that has 3G access is vital (even though I have discovered there are ‘black spots’ on the Bendigo line where access just dropped out. When this happened, I just flicked to an eBook I was currently reading and then flicked back. Planning a presentation always takes time, thought and effort and this is where collaboration and using Cloud based software can make a vital difference to partnerships and businesses using mobile devices. Tim and I had already planned this presentation in a Google Docs (like Word) that was in a shared folder on our Google Drives. From this, Tim’s team from Design Experts created a workbook that the participants could write in. Tim, then shared this back to me via email (and then I saved this in iBooks) to mark up as I was working on the presentation. I can’t say it enough…Skitch, in times like these, really does make my life so much easier. Having already had prepared annotations (marked up images) made it so much easier just to add to my presentation. For the screenshots I needed to take, it was easy enough with the Skitch app (saved to camera roll) and then added to Keynote. So here are my five golden steps to presenting from the palm of your hand (from scratch). 1. Plan – always plan your presentation out in whatever form is best for you (whether it is via handrawn doodled notes), typed ideas, brainstorms or even voice recordings. 2. Research your material – you are going to have to research your material at some point. This could be done via Pinterest, Evernote, Scoop.it (curation tool) and there are many more. 3. Write titles in for each of the slides using whatever app you prefer on any device whether it be iOS, Android or Windows (this helps you know where you are going). 4. Find the images/ add text in for each slide using whatever app you prefer. 5. 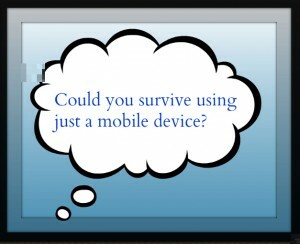 Present from your device using Keynote, SlideRocket, Haiku Deck, Nearpod for Business and the list goes on. “I use the iPad mini because it means that I can walk amongst the audience, and still control everything that is up on the screen. I can directly engage with audience members (asking them to draw on my own I-Pad; or getting them to share their own screen. Tony also says “I can directly face the audience (the reality of some venues is that I can’t stand behind my laptop, which means that I have to move back to it if I want to change to another app or page). When I got up to Bendigo I was able to present the topic. I will be writing more about the questions and app requests in later blog posts…different business owners had different requests but it was great to see the interest in learning more about using their mobile devices in business (whatever platform they have). Some interesting challenges for wineries and tourism operators (but some creative solutions)…stay tuned! After finishing the presentation, another two hours spent on the train and this time it was working on a project I am currently working on with a private client. I had to add data to a Microsoft Office document (This time using QuickOffice Pro HD) and edit some images (quotes) to put on a blog post for another client. After being on a mobile device from 6 am this morning, I was very grateful to have my power pack (extra battery for iPad) as I had to attend an event at Beyond the Box at Moonee Ponds tonight. It was entitled “The Mobile Tradesperson” and had reps from Apple, Geop, Invoice2Go and Xero. Beyond the Box have been running some fantastic free events based at their training centre above their shop. Click here to see for future events. I will be talking more about these apps individually over the next few days. Tomorrow, I am going to be having a very low tech day as my hands need a rest (and eyes from using technology) so apart from writing this blog I need to have some down time. For me tomorrow, it will be baking Cherry Ripe Mud cakes and a dark choc mud and just some time with my family. So remember, always take ‘one byte at a time’. 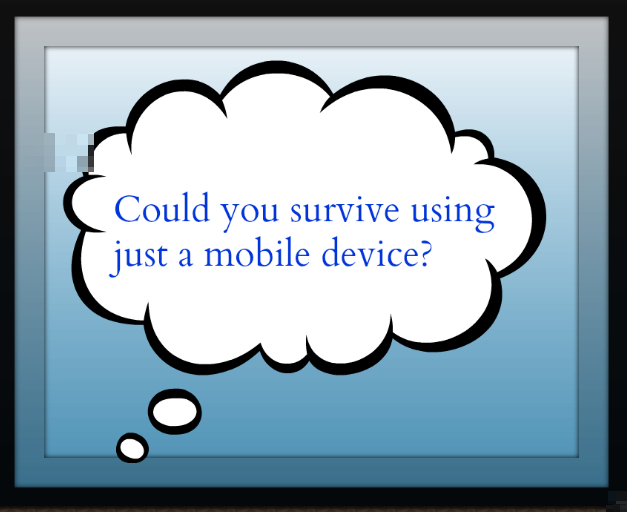 Click here for yesterday’s blog post on ‘Mobile Devices and Real Estate Agents’.